BHOPALI documents the experience of second generation children affected by the Union Carbide gas disaster of 1984, the worst industrial disaster in history, and subsequent contamination of groundwater by Union Carbide Corporation (an American company now owned by Dow Chemical, the second largest chemical company in the world). 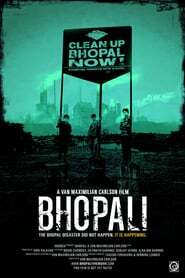 It follows several children as they and their families cope with the ongoing medical and social disaster, as well as their memories of that traumatizing night that shocked the world and changed Bhopal forever. Set against the backdrop of vehement protests for the 25th anniversary of the disaster, the Bhopalis continue to fight for justice, proving to be anything but victims. Set against a backdrop of high stakes activism, global politics, and human rights advocacy, this film explores the ongoing struggle for justice against Union Carbide, the American corporation responsible for the disaster. Featuring Noam Chomsky, Satinath Sarangi, and attorney Rajan Sharma.